It was a delightful way to start out our time with Dawn. We got to know Dawn and Jessica better; you can tell they are the best of friends! (We met Dawn’s mother later, and the three of them are just an incredible, close-knit three generations!) Dawn’s husband has been working in Iraq as a civilian employee the last three years, and they are getting excited to welcome him home later this year; he’s planning on making it in time for Jessica’s high school graduation. She’s their only child, so it will be a milestone day for the whole Griffith family, I’m sure. It became very apparent after spending only a few minutes with Dawn that she is a very genuine, sincere person. We talked about a lot of things, but mostly about her business and how she is so successful. She does workshops and clubs, but much of her business comes from online. 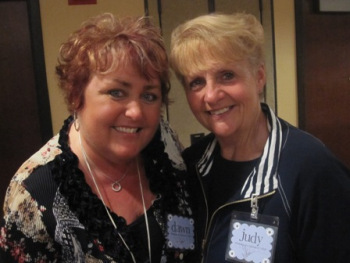 She got into blogging years ago and had built up an enthusiastic, loyal following. When online ordering became available, many of her blog followers started ordering from her. I was impressed with how hard Dawn works—she invests hours and hours into her business! She has created lots of videos, shares ideas and samples constantly, includes a hand-stamped card with every order she receives, and provides incredible customer service. And she doesn’t offer continual discounts, which is significant in my mind as we all look at ways we can balance an online presence with our commitment to living the Golden Rule. The customer service she provides came up over and over throughout the day’s events, as people talked about how much they adored Dawn. People at her demonstrator event (a small group meeting with only 8 other demonstrators) and guests at her workshop treated her with such respect and love! Some of them were meeting her for the first time, having only communicated online previously. I was not the celebrity at this event—Dawn was! 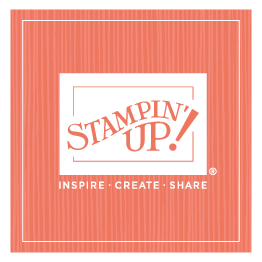 What a pleasure to see the friendships she has formed through her Stampin’ Up! business. We met at a local hotel (Dawn’s home was kind of small for such a large group; she holds her clubs at a local church and other events at her mother’s home), which she had decorated in nice spring colors. Because the group meeting was first, the workshop guests waited outside the room in the hotel lobby (so the anticipation could build!). That meant that all the guests entered the room at the same time—no early birds or stragglers. Because of that, we did both Make & Takes (besides the card, which is different every time, we also do a quick pen tag at every workshop) together. I demonstrated Two-Step Stampin’ and the Stampin’ Around wheel . Dawn closed the workshop tonight and earned a free Awash with Flowers set! She also got three bookings (Woo hoo!) and enjoyed the opportunity (I hope) to be thanked and appreciated for the incredible effort she makes to share what she loves with so many others!